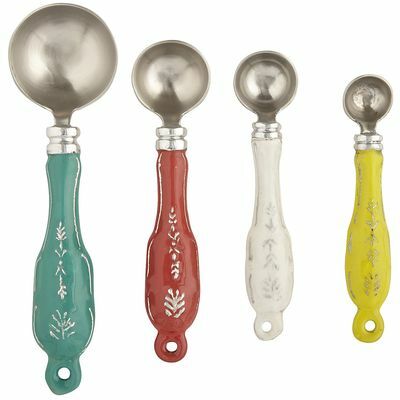 These colorful Enameled Measuring Spoons take the guesswork out of cooking. Made of aluminum and stainless steel. $19.95. Buy here.